Morris Getzels Law Office are real estate transaction specialist that will help guide you through this confusing process and represent your interests every step of the way. 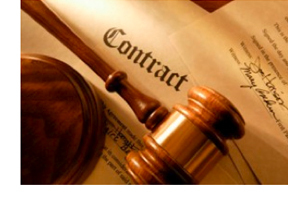 Contract litigation requires a knowledgeable and experienced attorney committed to discerning how the courts will interpret your contract and what will be the consequences of a breach. There are frequently ambiguous, competing or contradictory clauses. We are thorough and detail-orientated at Getzels Law Office. Often, one side fails to live up to their end of the bargain or tries to get out of their obligations. Other times, there is a poorly written contract with ambiguous terms and you need to know how your contract might be interpreted by a court in order to evaluate your rights and options. Or, a situation could arise that no one imagined when the contract was drafted and there is a difference of opinion about how to interpret the contract.